The arrest of well-known Guyanese businessman, hotelier Shervington “Big Head” Lovell in Jamaica for alleged drug trafficking marks the start of Guyana going after the ‘big fish’ drug lords, a top official of the Customs Anti-Narcotics Unit (CANU). “For years and years now, the man-in-the-street has been saying that CANU only goes after the small and the medium fishes, but we will get to the top and all these big guys who feel that they are untouchable, it will happen. This is only the beginning of it,” the official told Demerara Waves Online News. “We have to and we are determined to reverse the whole drug situation in Guyana”, the official added. Tower Hotel on Main Street which houses Club Privilege. 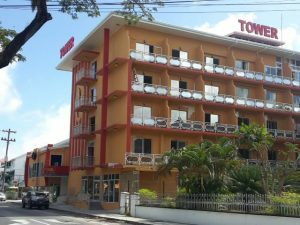 Lovell, who owns Tower Hotel on Main Street, Georgetown, is expected to be extradited to the United States (US) in the coming days. Sources in Jamaica said that island’s Counter Terrorism and Organized Crime agency arrested Lovell based on an extradition warrant sent by the US. Sources said Lovell a Chinese and a Venezuelan travelled from Guyana to Jamaica on a Fly Jamaica flight and were arrested on arrival at Norman Manley International Airport. They were not found in possession of any drugs, but CANU sources said Lovell and his associates were the subject of an international cooperation for some time now. “This has been an operation that has been on for a while now and it involves a number of Caribbean and international counterparts, not only Guyana and Jamaica,” the official said. Asked whether steps would be taken in Guyana to forfeit Lovell’s assets, the CANU official said that would be the work of the agencies responsible for probing money laundering. 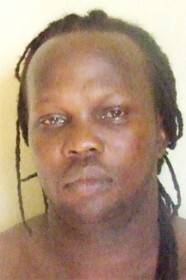 Authorities said Lovell owns seven properties in Guyana and one in Jamaica, said to be a hotel also. Lovell acquired Tower Hotel through Seenarine Mathura who purchased the property at 74-75 Main Street from Citizen’s Bank following foreclosure of four mortgages on April 16, 2014. Mathura was an Operations Manager of New Line Aqua Farms whose principal is Salim Juman Azeez. Azeez was also a key figure in Canal Hospitality Inc. The documents show that Mathura purchased Tower Hotel for S and S Mining Company Inc. of 17 Delph Street, Campbelville for GYD$766 million. Shawn Lovell is listed as a director of S and S Mining. In recent years, the US has arrested and convicted Shaheed ‘Roger’ Khan and Peter Morgan in other countries for drug trafficking.